I hope the good people at Glenlivet never read this review. Not that there is any remote chance they would anyway, but hope remains. You see, we as a club have tried every readily available expression from Glenlivet with the exception of their 25 year old. We’re not dentists, so we don’t count the glass case whiskies. 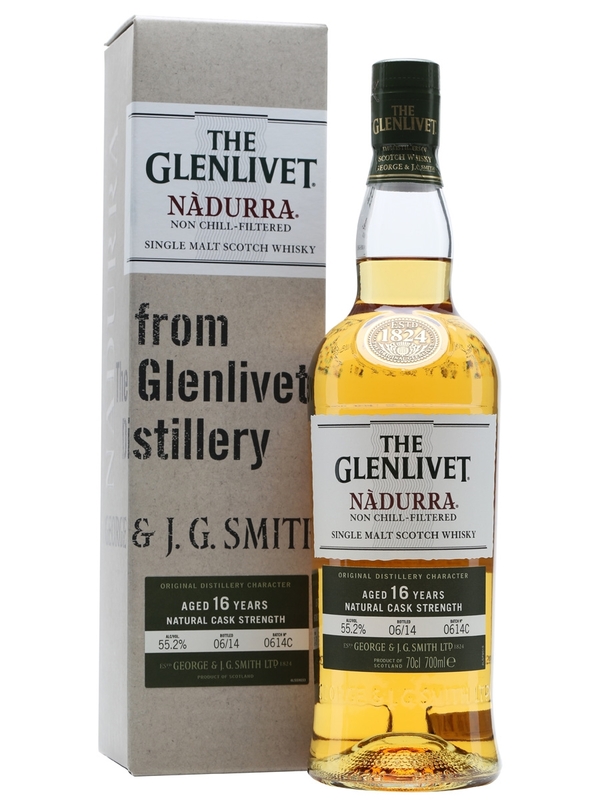 All savored except one, the very whisky meant for whisky enthusiasts everywhere, a love note from Glenlivet to the snob: Nadurra. Nadurra is a single malt that has every quality we absolutely beg for and we criticize without blessed end when we find those qualities missing. Nadurra is Gaelic for “natural,” appropriately named since the goal is to offer something that changes as very little as possible coming from the cask to bottle. And since we formed back in 2012, it wasn’t even on our collective radar, or even on our individual must drink lists. Since I started this ridiculous hobby sometime last decade, I was the first of any of the mighty seven of the SWC to recently stumble into a joint and saunter out with a bottle. It’s a bit embarrassing that we have yet to submit an opinion. So there’s that. Nose- Glenlivet standards of green apple and honey. Vanilla/butterscotch but not as strong as other releases seem to indicate. Almonds, sweet cakes and apricot. Cereal notes with herbal feel. Weighty and big. Taste- Big, creamy peach/apricot – stone fruits. Honey sweet, ginger. Fantastic. Finish- Medium to long. Grain punch with honey, big. Floral with drying oak notes. Comment- Bold and full of character. Presents as advertised. Great taste and a strong option for those who wish to see Scotch whisky unfiltered, uncut and uncensored.